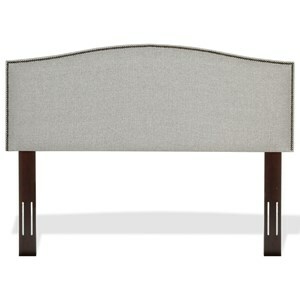 This twin sized headboard combines soft, sweeping curves with straight lines to create an enduring transitional style. 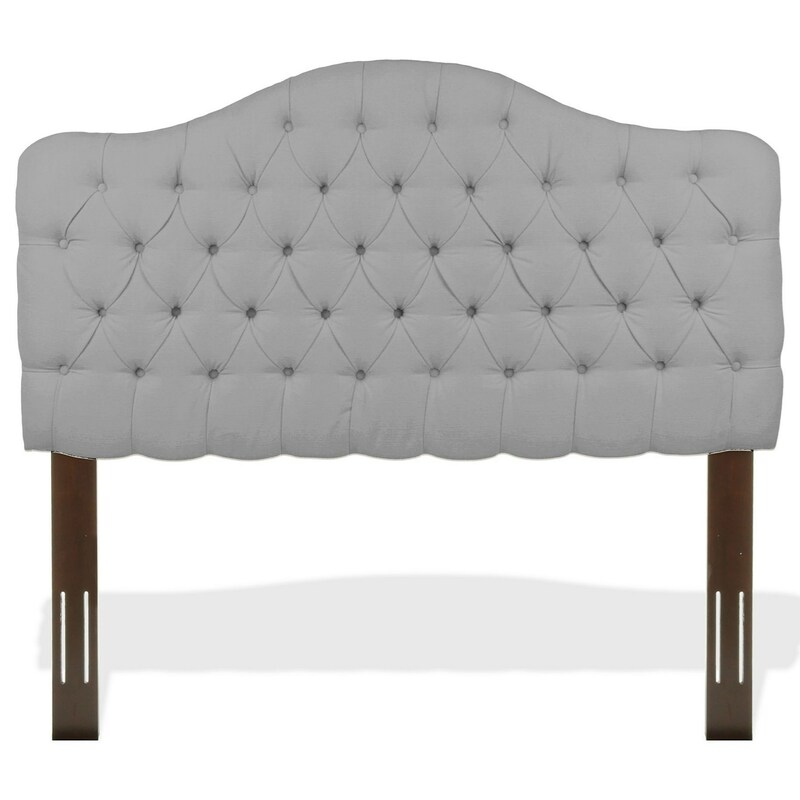 Constructed of solid wood and upholstered in a Putty finished 100% polyester fabric, this button-tufted tailoring, so common to French décor, and the simple, yet sophisticated fabric, work together to marry traditional and contemporary designs. 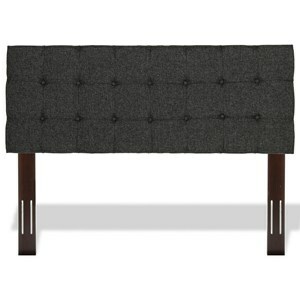 This elegant look is partnered with soft foam padding covering the sturdy, solid wood frame. This walnut posts are also adjustable, allowing the user to change headboard levels from 54-inches to 58-inches to 62-inches in height. 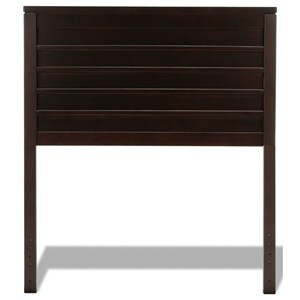 This three level option is a convenient way to create a new bedroom look with just the slightest headboard adjustment. 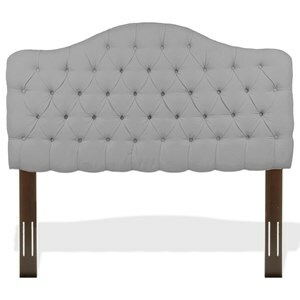 Despite this piece's stylish and delicate design, this solid headboard is still functional and sturdy enough to lean upon while reading a good book or returning a few e-mails before going to bed. A good ornamental (or fashionable) headboard will fuse with the surrounding décor and transform a room from ordinary into something interesting and sophisticated. This is designed to be a long-lasting focal point in your master suite or guest room, providing the quiet retreat getaway you've always wanted. 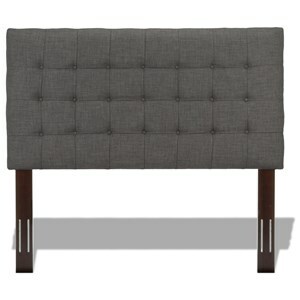 This unit measures 54 to 62-inches (H) x 41.25-inches (W) x 4.88-inches (L), and includes a headboard panel, posts, instructions, and hardware bag with everything needed for headboard assembly. A bed frame is NOT INCLUDED for box spring or mattress support. 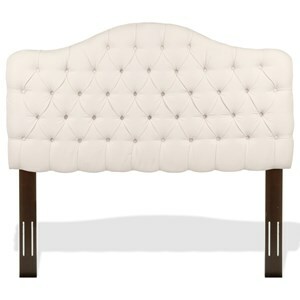 This Headboard comes with a 1-year limited warranty against manufacturing defects.